Breakfast is the most vital meal of the day. It’s also very easy to skip this meal. People say a lot of excuses after skipping breakfast. Many people ignore the fact that breakfast is very important for a human to perform his daily duties without any tiredness. Let’s see why eating breakfast is important for everybody. Breakfast is the most important meal of the day, one cannot miss. A good start Eating a nourishing breakfast including all nutrient groups is the best way to get brain cells fired up. Improving memory and concentration and starting the metabolism. Research shows that having a balanced breakfast is reducing the all over calorie intake per day. The breakfast could easily be the worst ignored meal. Many people say they do not have time for it. They are in a hurry to go to their occupation. They are employees, managers, bosses, businessmen, and students. They do not or may not know that breakfast is important. That they should eat breakfast every day. All the more important to students. This is because they are still growing and learning important things. Benefits Eating breakfast every day is important for students because it gives energy, enables them to focus on their studies better and, in the process, enables them to get better grades. Further, it makes these young people make their bodies fit and healthy. This also means that skipping breakfast has corresponding negative consequences. 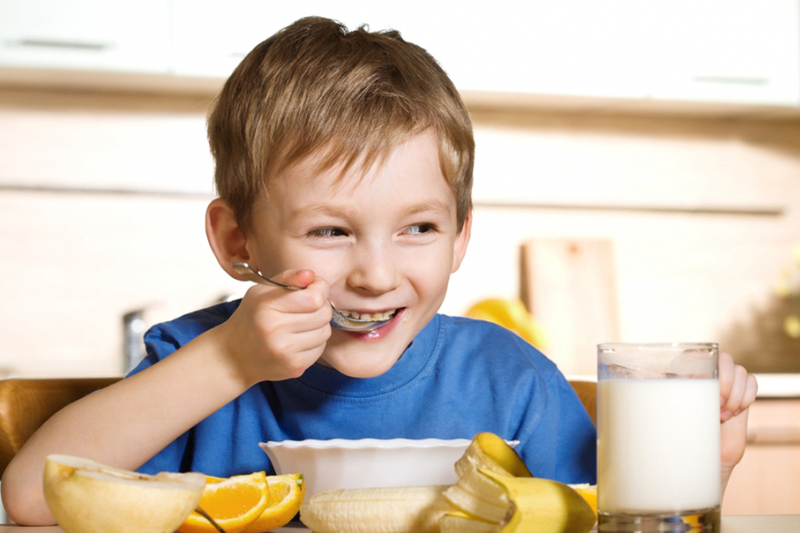 Eating breakfast is necessary for children to supply their body and mind with the energy. With the energy provided by a breakfast they can focus better, students will not only have the physical energy to fuel their bodies but it will also serve as a power source for the brain. An energized body will support and sustain the energy needs of the brain. The student can focus one’s mind better on studying. They will be able to learn better, faster, easier and more. Further, skipping breakfast will contribute to unhealthy body weight. It can be overweight or underweight. Avoid sugary foods like toaster pastries and donuts because they give temporary energy. In as short as one hour, students who have solely these for breakfast will already feel hungry and tired. The longest you can hope for them to last is two hours. On the other hand, foods which have starch and protein like English muffin and peanut butter, cheese and crackers, yogurt and toast or instant oatmeal and fruit take more time to be digested and thus help students stay full and energized for longer hours. Include Egg in a hole. Whole Grain Bread, free-range egg and either salad or fruits sprinkled with seeds or nuts. Protein, carbohydrates vitamins and nutty fats. Students can also include Banana and milk in your breakfast for being healthy and full for longer.